Heat, heat, heat. Everyone wants to know some good annuals that will survive in full sun in blistering, heat. Well, Angelonia is one. Lantana, Arctosis (African Daisy), Gaillardia, Torenia and Tithonia (Mexican sunflower) are a few more. Spot a trend? All these annuals are native to hot regions closer to the equator than any portion of the United States (or, needless to say, Canada). 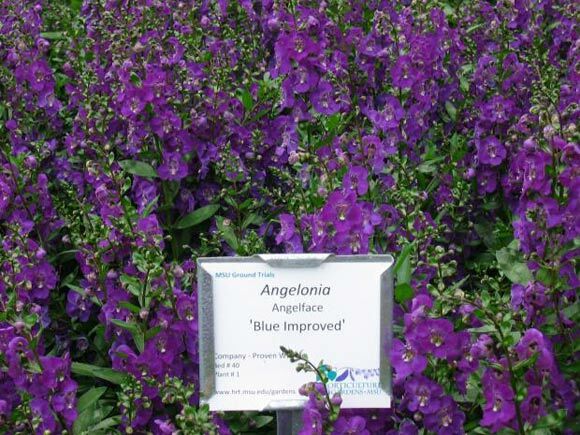 Angelonia is the genus of around thirty varieties native to South America, and the nursery industry has hybridized natives from the genus into a stellar array of both tall (18-24”) and mid-sized (12-18”) varieties. Proven Winners™ has a good line of tall varieties, named Angelface, that come with blue, pink or white flowers. Serena is a series from Ball Seed Company featuring the less tall varieties in shades of purple, pink and white. Any Angelonia you purchase will perform well in full sun/high heat. In fact, they require it, plants not doing much growing until things warm up in early summer. No sense even purchasing and planting until the end of the spring season. Plants bloom for 10 weeks to three months, particularly if you deadhead spent flower stems. 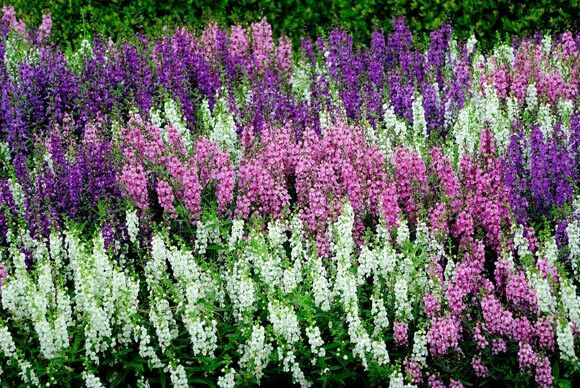 Angelonia makes an attractive show in the landscape, terrific in cottage gardens and any mixed annual/perennial flowerbed. Taller varieties are fabulous in containers, where it’s always nice to have some reasonably tall, narrower plants that offer good consistent bloom color. Also a very good choice for southern exposure window boxes, where heat increases because it’s bouncing off the side of the house. Plants grow well with regular watering, but are drought tolerant and will handle periods of dry soil. They make long-lasting cut flowers for vase arrangements, and carry a slight grape soda scent. Plants are very pest and disease resistant.